On the news the other night was another violent demolition at Agham Road in Quezon City. The problem in urban poor and illegal settlers have been ages now. It's been ages but no best solution have ever been formulated. I wonder why? What went wrong? What's lacking our Government? What Philippines don't have right now? Those are the questions that are running in my mind whenever I am watching such violent scene. It's like history repeats itself and it's a recurring problem. How can we ever end poverty? This push me to write about #GLOBEProjectWonderful2014. Financial help will never be enough. Come to think of it. Local governments always give financial helps that the settlers will accept. They will then be moved to the relocation areas where they will have their own homes. But after sometime, they will go back to the city and choose to be an illegal settler again. Why? Because again financial help is not enough. Olaf! Olaf! Olaf! I am frozen with you! One of my childhood dream to learn how to play a piano. That's apart from my wish to have a golden voice, haha. Unfortunately, I never got a chance to learn how to play a piano since we don't have one at home that time. I envied my classmates who can afford to go to a piano class that time. My late father promised me one but that just remained as promise. In short, I am a frustrated pianist. Have a great week ahead of you guys! It seems like only yesterday, Daddy and I were just friends walking around the campus. Doing research papers, working on problem sets and projects, and sharing our secrets, haha. But look us now, and many of the people who knew years back are surprised to know that we are what we are today. Maybe I need to change the title of this to "wayback Monday." Lol. Seriously, even if many people believe that we have a perfect relationship, no we don't have. We don't always wake up in the morning with the same likes, interests and so on. We argue sometimes and most of the times I ended up so pissed off that he never got angry. Oh yeah, that makes me feel so mad, his silence. But no, before you judge me being a nagger, no I am not. I used to always manned him, maybe because I just want what is best for him. But when a storm hit us that almost ruined our relationship, I learned my lesson. I should trust him and let him do his works. There's no wrong in making mistakes anyway, and I know I need to let him be what he wants to be. I can't change him, that's it. Oh, enough of the wayback Monday, alrighty? Going back to the present. I know that there will be more storms that will come. There will be more tests to pass. But one thing is for sure, that deep in our heart our love will never fail us. Cheesy??? Haha! Hello everyone. It's a still cold sunny Saturday morning. What a lovely day but I am not feeling well. Since yesterday, I am feeling bloated and feels like vomiting anytime. It looks like I am having indigestion. Worst is that Matt experienced the same sickness too. He kept on vomiting and anything solid he takes, he'll pour it out. Then he started to feel a little hot. Being the paranoid mom, I forgot what I feel and do my mommy duties. That's always Matt's weakness. He's always a happy, hyperactive kid. He seldom gets sick but when hyperacidity attacks him, he's down. So what to do, he needs to eat so he can take medicine. He needs something to digest that he will not vomit. Then I remember what we did the last time he experienced this sickness. I asked Daddy to look for carrots inside the refrigerator. Unfortunately, he already cooked all our carrots and that we didn't go to the wet market just yet. Imagine my disappointment when I heard that. We badly need a piece of carrot so Daddy went out to buy carrots but the nearest stores, which are already closed by that time. He went back without any carrots and that Matt kept on vomiting. He's asking for water but he vomit that too. Poor little boy. Everyone of us at home are all worried. 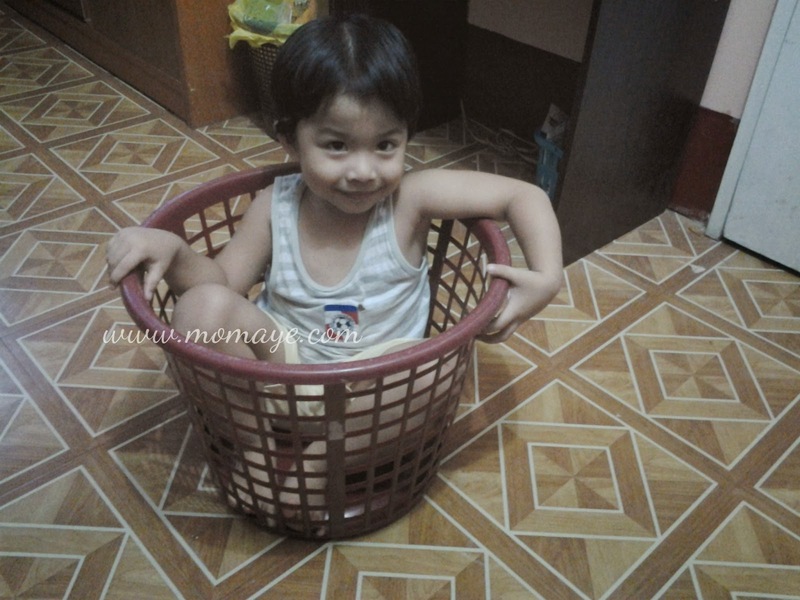 This makes me told him "Anak, mangulit ka na lang please. Wag na ganito. Sige na di na ako magagalit." The boy has no energy and just lay down on our bed, and it breaks my heart. I cannot stand what I am seeing so I ask Daddy to search for carrots. I told him maybe the stores near the Church are still open. He agreed and immediately went out. After few minutes, he went home with carrots. Thank God. Hello, I'm back after being missing in action for what, 2 days? I tried to write a post several times but after clicking the "New Post" button something always pop up, lol. Just like now, I'm typing writing this post but there are things I need to attend to that's why my mind is being interrupted, I can't think well. So please bear with me alrighty? So how's your week? Mine is super busy but productive. That I wish I have extra hours each day just for rest, hehe. Yesterday was a holiday here in Bulacan. I thought I can take more sleep in the morning. But because I have received several inquiries at our page so I have to wake up and work on those orders, check payments, and prepare the items for shipping. We also have 3 schedule meet up/deliveries yesterday. That's why I don't get a rest even on holidays. I haven't talk about my goal this year. It's still the same, to be a work at home mom. Honestly, I don't plan a lot and I am not discipline enough to stick with my list of plans. That's why my motto is to go with the flow. I am so sure that as long as I put God first and follow all His wills, I will never be lost. I will get what my heart desires in the right time. I grew up without any house help at home. That's why I wonder how my mother managed to run our household of 3 children and a full time work out side home. She did all the house chores from cooking, washing dishes to laundry, cleaning the house. Galing di ba? Moving to the present, we hired a house help/yaya at home since Daddy A and I are working full time. I think this is one of the disadvantages of living independently away from our home town. If only we live just few blocks away from my parent in law then this would never be a problem for us. Who doesn't love to stay in a place where you grew up, close to all your family and relatives. But this what life gave us so we need to embrace it and be happy with what our current situation is. Anyway, we are blessed so I need not to complain right? Here's the real story. Since our house help needs a rest too, we allowed her to take the weekend off to go home. When we went home from work last Saturday, our home is a big mess. With no house help, what can I do but to do all the chores. Look who's enjoying the mess. It's another brand new week. Hope everyone had a wonderful weekend. Here's our Inspirational for the week. Have a great and blessed week ahead! I don't know what's with Matt now but his favorite expression when taking his photo is like this! What is that look? Can you help me guess? 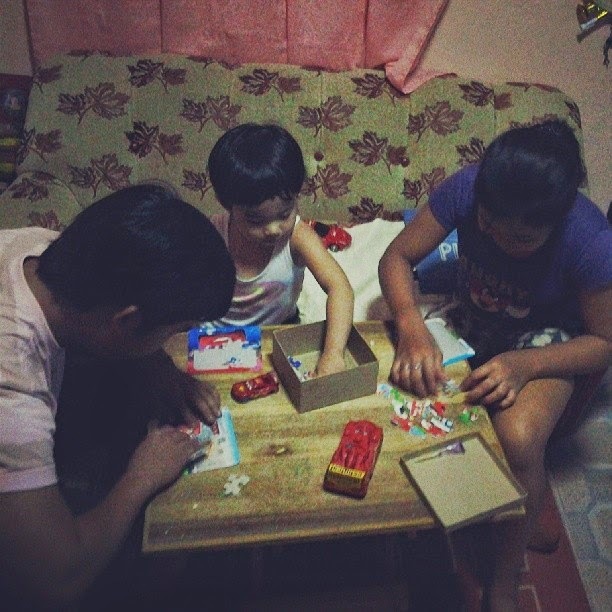 Oh, this post is not about holidays talaga but who doesn't love holidays ba kasi? Anyway, got here some mommy tips about what we should know in 2014, only from Absolute Pure Drinking Water. If there's something I am so thankful for 2013, it's a better family relationship. If you remember, I have posted something not so good going on within our family (my family side). My brother and I used to be not in good terms because of, even if it's so shameful to admit, money. I will not go into more details anymore because I want to leave what had happened behind and move forward to a best 2014. What's important is that my brother and I had patched our differences and has a much better relationship now. Actually, he lives with us. Thank you very much to my understanding husband, Daddy A. Anyway, enough of the drama because I am happy to share that my brother has become more responsible now and in fact he, together with one of our cousins, ventured into business. Happy Monday! Here's our inspirational quote to start our week. If you notice, I'm always with short hair. It's not that too short though. 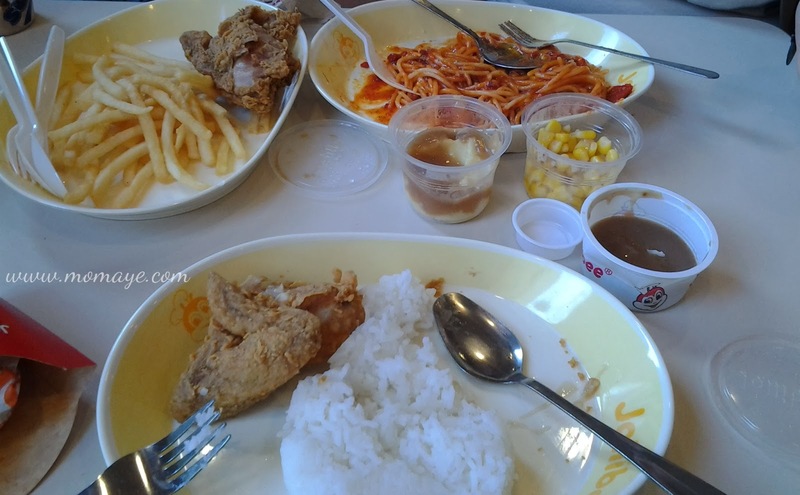 I can't recall exactly how Matthew fell in love with Jollibee. 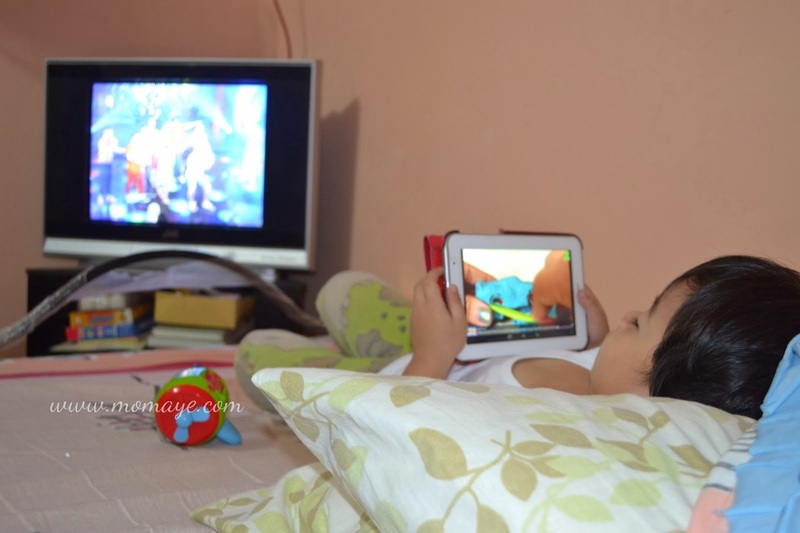 It must have been the Jollibee dance video he used to watch when he was still a baby. That time he fondly called Jollibee "Jabee", when he can only say 2-syllable word. But now he can say "Jollibee" clearly, and even the "Jolly spaghetti", "chicken joy", "burger fries", "sundae", so on. And would you believe he also know the new creamy Mashed Potato and sweet Buttered Corn? This is a very late post already since Christmas was over. Anyway, it's better late than never. 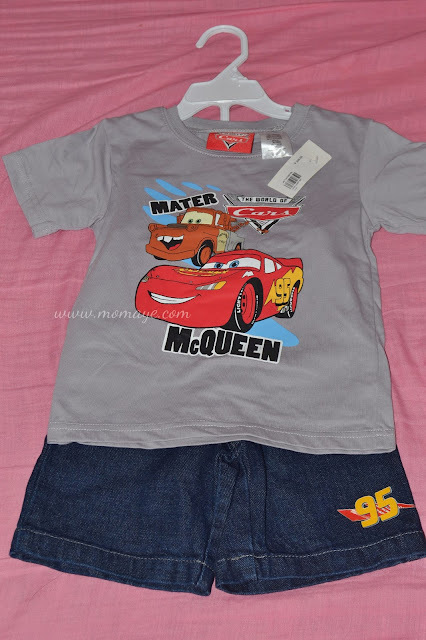 So here's Matthew's McQueen Cars OOTD last Christmas! You've probably seen this set we bought from the Big Garment Sale. Last month, or should I say last year, we planned to buy a new sofa set and a new bed. We bought a new bed so that Matt can have his own space. Lately, I failed to give an update on our homeschooling journey. Honestly, our homeschooling schedule is not as often as before. My work and online shop get me so busy that I failed to give at least an hour to give way to our homeschooling. But not only that, I realize I am getting obsessed with homeschooling Matt. Almost forcing him to write and read. Unintentionally, I put pressure on him to learn fast. Yeah, I know, I shouldn't do that. He's only 3 but he knows so much for his age without proper schooling. He loves to learn at his own will. So I should really be thankful for that. That's why I never force him now. I let him enjoy his toddler years. He loves puzzles so I buy him more puzzles with McQueen cars design. That makes him so so happy. I want to thank sis Tet of Cute and Dainty for sharing how to get a free Pantene special treatment #choosetoshine kit through BDJ. Happy Monday! 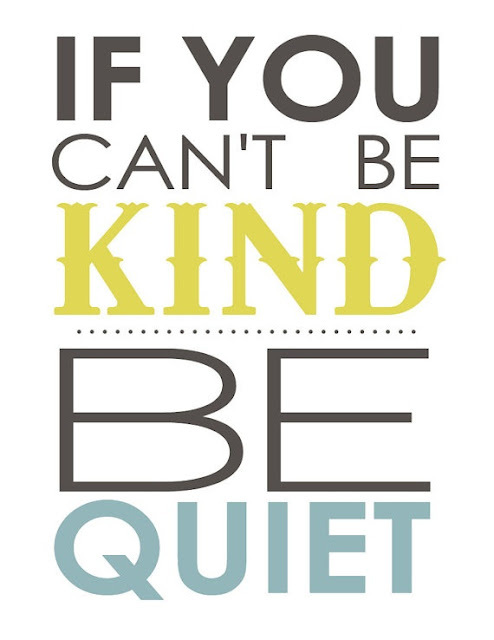 Let me share this reminder with you guys. 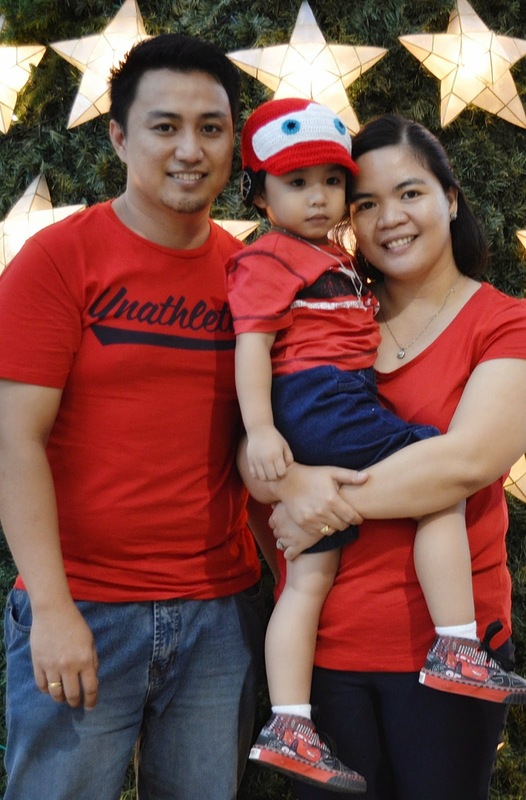 Just sharing our first family photo for 2014. All in red for good luck! Our 2013 is such a blessed year and I'm praying for another blessed 2014 for our family and yours! I already told you about my first Zalora loot. I feel that that is not enough and would love to share them all to you (since Daddy Allan already took a photo of each, yey!). As you all know, I love online shopping. I usually shop for baby stuffs for my shop, yarns, craft supplies and so on. This is the very first time I shop for apparels like shoes. Actually, I'm afraid to buy those which requires sizes. What if they don't fit me? It will be so stressful to deal with the merchant on how to settle the issue right? Luckily, with Zalora I had a very smooth and hassle/stress-free transaction. But I must admit, I am a little nervous with the idea that the sizes I chose won't fit me. Thank God they perfectly fit me. Here they are! Ang bilis! Yun na yun? 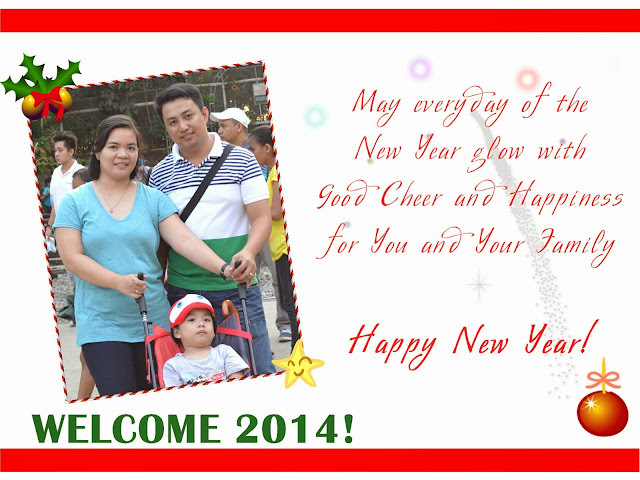 New Year na, 2014 na. Good bye 2013! 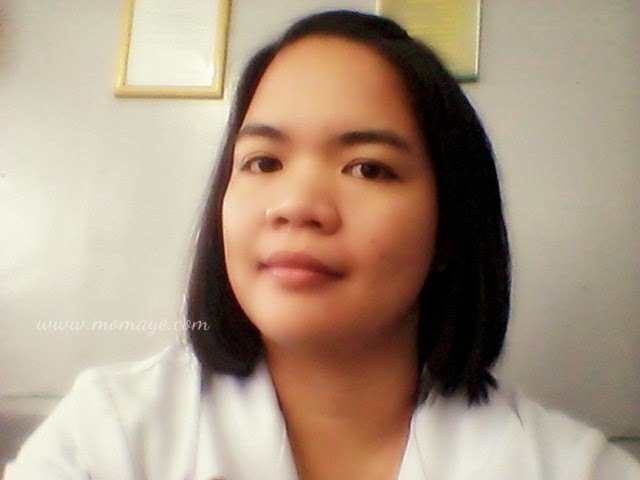 This is a late post na and I think I still have the vacation hang over. Since we didn't got the chance to take a real rest, Daddy and I were a bit sick. The minor home improvement at home kept us so busy during the holidays. Nevertheless, we are happy with how things turn out. I asked Daddy to take photos of what kept us busy but he hadn't taken any photo yet e. I'll show them to you one of these days. Uy, please don't expect much because it's really a minor home improvement. Let me just share what we did days before the year ends.